Well that's a rather imposing title isn't it. If you're going to talk about exchange commodities, you probably ought to consider how they are being issued. A lot of cryptographic assets are issued today like type "D" in the above diagram, a standard ICO or full premine. The trouble is that this puts all the coins in some small number of hands, which makes for unstable markets dominated by whales. 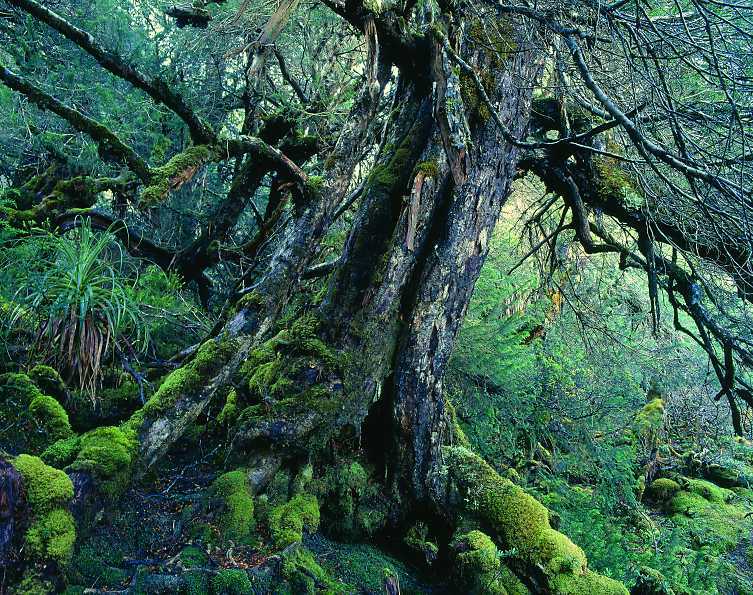 It's a top-heavy structure and while it can be propped, and perhaps grow some understory via trickle-down and some good marketing to adoption, this is probably not where you want to be in the long term. Unless of course you got in at the very beginning, in which case: good luck finding the top. The curve "A" sure looks a lot better at the start, as miners are able to generate coinbase transactions that keep the market from overheating and put coins in new participants hands. However you can see from the plot that after enough time (by 2030 or so), the economy looks from a distance very much like curve "D". The coinbase is nearly gone and now you have an entrenched whale class who moves markets at will, and little to give incentive to miners apart from a fee which drives away users. Curve "B" solves this problem neatly but with one aesthetic flaw, namely that it has no cap to the supply and thus appears to not be a great long-term store of value. Sure the miners are taken care of and the economy can grow in a relative stable manner but still the competition of less inflationary coins will drive the value down. A lot of satoshi codebase coins leave this as the endstate after various early distribution schedules. Curve "C" leads to large interest rates and hyperinflation, which could be desirable in certain situations but not for the long term wealth management crew. This leaves us with curve "D", hastily drawn on in crayon. This one is the logarithmic supply curve. As you can tell it is capped, allowing for avoiding runaway inflation, and yet there is substantial coinbase reward to issue new currency for a very long time. This should keep the price relatively stable by avoiding shocks and finding a balance between inflation resistance and coinbase incentives. 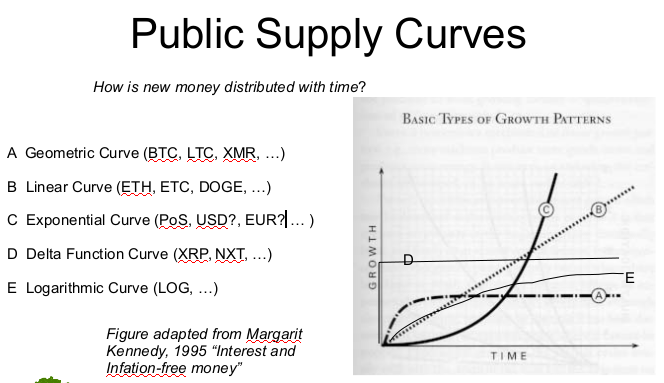 What do you think, which supply curve would you rather have in your coin and why?